Floods of fresh imports are helping to cut the average age of cars on our roads, new research shows. The age of imports is now at the lowest level since 2010 – a reflection of the massive impact the influx of UK cars has had on our market. It underlines the documented trend that people are shunning new-car purchases in favour of 1, 2, 3 and 4-year-old UK secondhand equivalents. 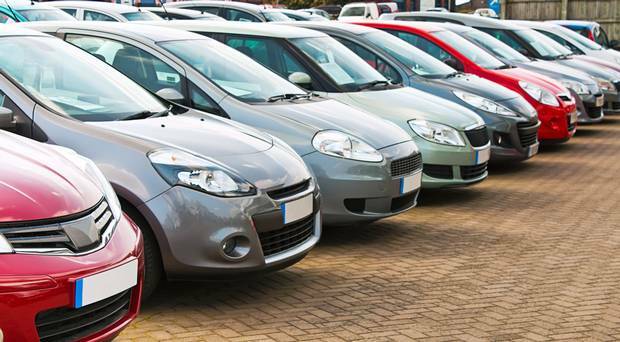 Meantime, due to a couple of years when new-car buyers were more numerous, the age of ‘Irish’ cars has dropped again, according to the analysis by car-history check website Cartell.ie. When both imports and home-based are factored into the ‘overall fleet’ equation the average age has returned to a level last reached in August 2013. While the implications at market level are obvious for secondhand buying and values, perhaps there is a case to be also made that insurance premiums should, or could, fall quicker given the ‘freshness’ of the national fleet? Cartell.ie has tracked the age of all cars on the first day of each month from February 1999 to-date – quite a span. While average age can rise and dip throughout the year, the age-drop of imported cars since February 2017 (-209 days) has been “particularly notable” the research shows.